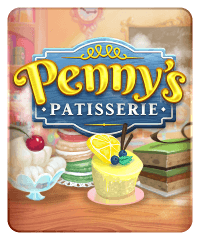 Penny’s Patisserie is a baking-themed slot machine with both a mini game and a bonus round. 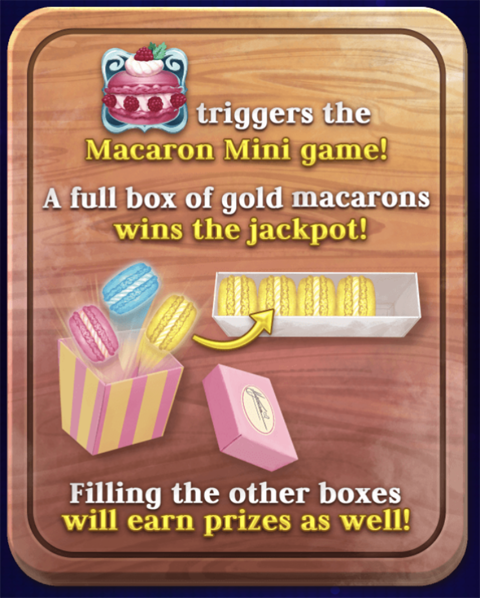 Look for the pink macaron symbol to trigger the Macaron Mini game. 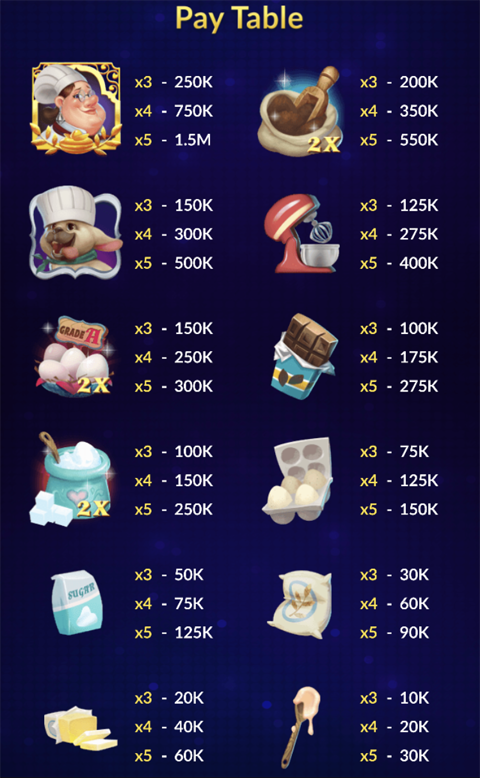 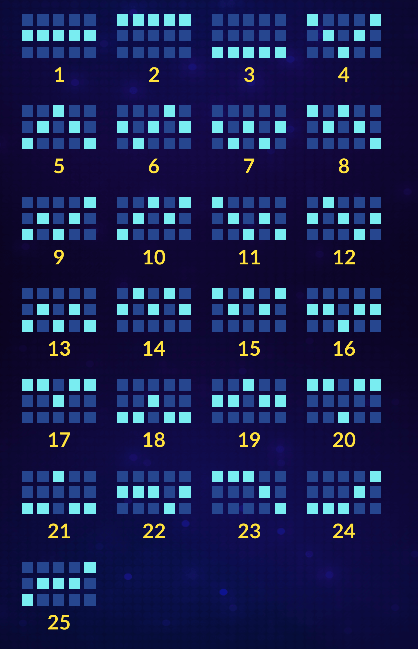 Three Bonus symbols start the Baking Bonus. 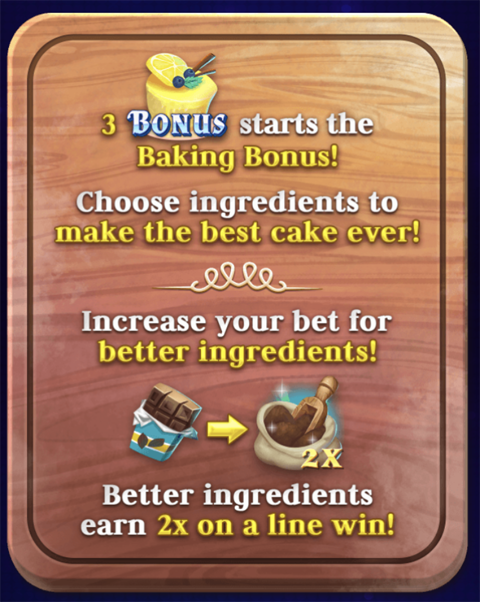 Increase your bet to use better ingredients; if those ingredients show on a win line you can earn 2x! 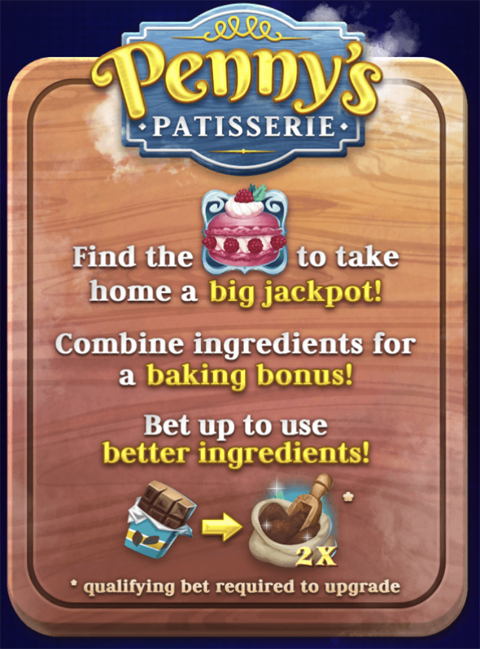 Note: this paytable is at VIP minimum bet (125K bet).